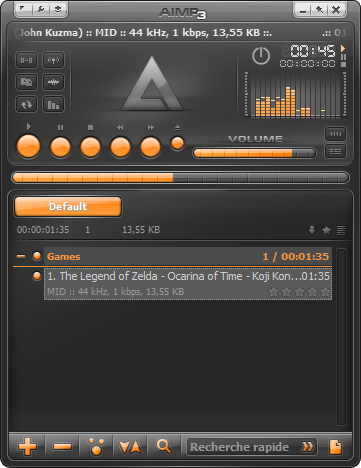 This player is indeed compatible with Winamp plugins, which can be used to handle additional file formats if you need to. One of the most interesting features of this player being that it can play and record MIDI files with SoundFont banks directly, without having to install any additional driver like CoolSoft VirtualMIDISynth or BASSMIDI Driver, as it is directly bundled with the latter. Thanks to this integrated SoundFont support, it can batch convert and record MIDI files to audio files (MP3, OGG, Wave, FLAC...) rendered with the SoundFont bank of your choice, like Arachno SoundFont. Batch processing is very fast; NightFright recorded all his Arachno SoundFont game music packs thanks to this software. 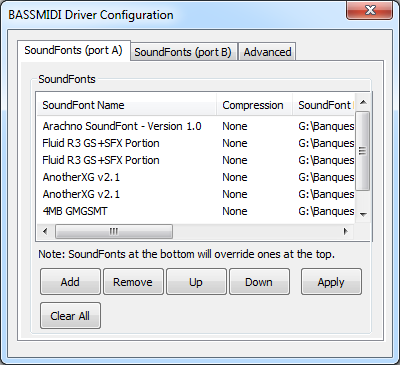 BASSMIDI Driver, featured in Arachno SoundFont's documentation, was one of the first really accurate and easy-to-use SoundFont software synthesizers. Just like SynthFont and VirtualMIDISynth, it can reproduce MIDI music using SoundFont banks on computers without any hardware SoundFont synthesizer. VirtualMIDISynth, featured in Arachno SoundFont's documentation, is one of the best solutions to reproduce MIDI music using SoundFonts if you don't own any soundcard with hardware SoundFont synthesizer, or if you're experiencing MIDI playback issues on it. Claudio also added a link to the Arachno SoundFont documentation on the product's page, to help his users with the installation process. Thanks Claudio! 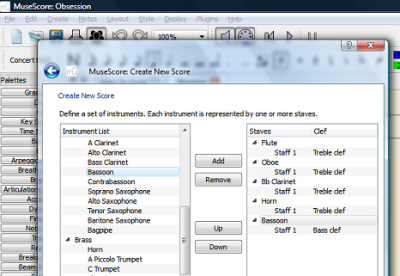 MuseScore is a free software bundle to create stylized sheet music on any computer platform, either being Windows, Mac OS X or Linux. With MuseScore, you can create sheet music with a nice-looking WYSIWYG editor, listen to your score on a MIDI synthesizer, share and print your scores, with help from a wide and open community if you need to. It has many, many features focusing on music notation: it supports most creation tools you should need for such purposes, and can import/export your work from/to many file formats. 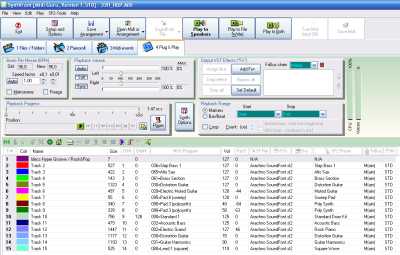 Several MuseScore users enjoy this software along with Arachno SoundFont. 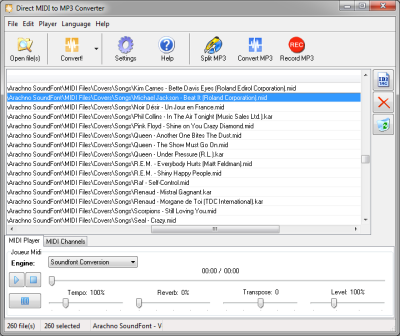 Direct MIDI To MP3 Converter by Piston Software is, as its name suggests, a software to batch record MIDI files with SoundFont banks, without having to install any additional driver like CoolSoft VirtualMIDISynth or BASSMIDI Driver. It is directly bundled with the latter, and can record MIDI files to several audio formats, like MP3, Wave, WMA and OGG. Batch processing records all the MIDI files up to 10 times faster than the original MIDI file's duration, with a lossless rendering engine. Several effects and tweaks can be applied to record the files, such as adding reverb, adjusting MIDI tempo, change the base MIDI key to transpose the sound to lower or higher octaves, muting MIDI channels... just like you'd do with a MIDI player like vanBasco's Karaoke Player. Piston Software supports Arachno SoundFont, and offers a 30% discount to all Arachno SoundFont users with the following coupon code: ARACHNO30. Thanks to Ivan for his support! SynthFont has also been extensively featured in Arachno SoundFont's documentation. It uses its own SoundFont rendering engine and offers an advanced interface to manage, play, edit and record MIDI files using SoundFont technology.